Lightweight (500 g), compact, and aerodynamic, the Parrot Bebop 2 is designed to be transported easily. It will go with you wherever and whenever you want to capture and share your finest flight moments in full HD. Everything is more beautiful in high definition! As a flying camera, the Parrot Bebop 2 films in 1080p full HD. Even in low light, pictures are incredibly sharp thanks to its wide-angle 14 megapixel lens. Offering horizontal and vertical 180° pictures, it's easy to take aerial photos without losing quality. For professional results, simply choose RAW or DNG from the three formats available. Don't let wind stop you! The Parrot Bebop 2 is great for taking pictures, and it's built for speed too. It reaches 37.28 mph horizontally and 13.05 mph vertically without affecting image quality. It gets up to top speed in 14 seconds and resists headwinds of up to 37.28 mph. It also boasts a record braking time, halting completely in just over four seconds. 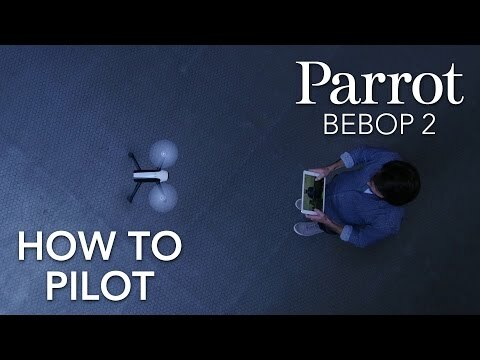 The Parrot Bebop 2 is highly intuitive. It responds to movements of your smartphone or tablet via its accelerometer and the interface's touchscreen controls. Flying is easy: take off and land with a single button. Capture your best moments from the sky with high precision. With the Follow me feature, capture your best moments with high precision thanks to the use of advanced visual recognition technology and the GPS tracking system on your Smartphone. Cycling, running, rowing, climbing… Everything is possible! Leave your Smartphone in your pocket and let your drone film you in your everyday activities with complete autonomy. The "Follow me - GPS & visual tracking" feature is available as an in-app purchase in your Freeflight Pro application. FreeFlight Pro is the free mobile app dedicated to your Parrot drone. It takes just one touch to fly, film and easily share your aerial photos and videos. With Smart Flights, you can get assistance while taking photos enabling you to get the perfect shot. FreeFlight Pro lets you experience an immersive flight and is designed to function with your Parrot Skycontroller 2 and the Parrot Cockpitglasses 2. Also be sure to try Flight Plan and Follow Me, two paid features which let you use 100% of your drone’s potential. Finally, log in to My.Parrot from your app to have a look at your flight data! Paired with the Parrot Skycontroller 2 and the Parrot Cockpitglasses, your Parrot Bebop 2 drone reveals new capabilities. Embark on long-distance courses combining extreme piloting precision and ultra-real viewing! By flying with the FPV goggles, you're totally immersed: explore previously inaccessible places like never before and capture high-quality pictures perfectly. When you set out to fly the Parrot Bebop 2, you often have a real adventure in mind. Buckling up your bag, grabbing your tent, mapping out your route, etc. This new pack is inspired by modern adventurers. The Parrot Bebop 2 Adventurer has all the equipment you need to fly in the great outdoors! Experience your adventures from the sky with the Parrot Cockpitglasses and the Parrot Skycontroller 2. Take full advantage of the Follow-Me app and our backpack, which is specifically designed for the Parrot Bebop 2 drone and its accessories. The sky’s the limit with the Parrot Bebop 2 Adventurer! 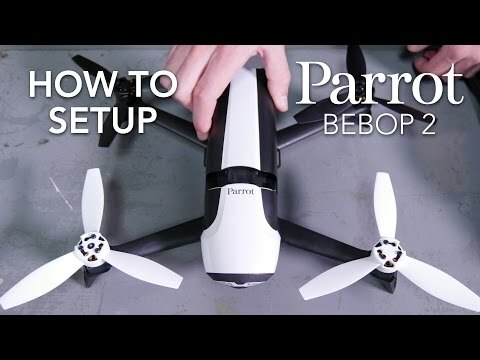 The Parrot Bebop Drone, Parrot BeBop 2, and Parrot minidrones are very easy to repair.